Since the library’s completion, the building’s basement has also been instrumental in providing services to the community. For many years, various clubs, such as the Federated Woman’s Club, used it as a meeting area. Always known for doing community good, the junior branch of this same club founded a Ding Dong Playschool in 1956. Their intention was to provide needed socialization and various activities for the community’s preschool population. The first year, a home on Locust Street was rented and fitted to fill the needs. However, the following year they were able to move their activities to the large room in the library basement. For over forty years and through two generations of family members, that locale greeted over 500 of the community’s preschoolers. 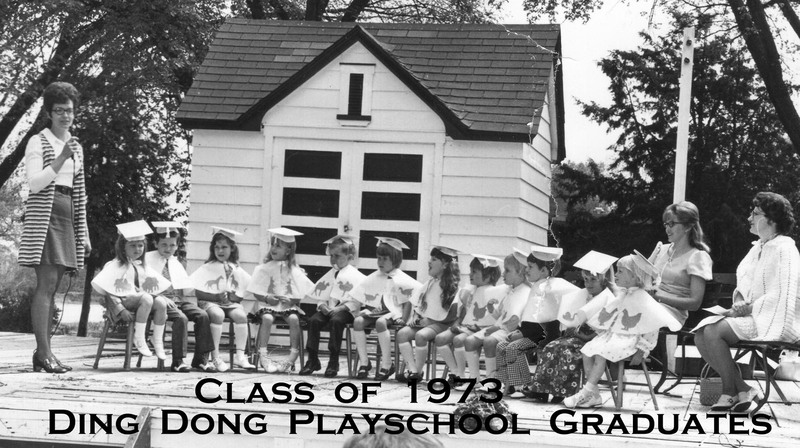 A graduation always marked the culmination of each year’s playschool activities. Initially, such “ceremonies” were held on the back lawn of the library. Leading the procession, was a “band” – mostly rhythm, but also including majorettes. Appropriately, the band members were Ding Dong Playschool alumni. Many times the color guard was represented by members of the local Brownies and Cub Scouts. For many years, the graduation gowns were homemade capes. Cut in circles of pellon, they were accented with pastel shapes of the children’s favorite farm, circus, and domestic animals. The basement was remodeled in the 1974 and to better meet the children’s needs, the playschool became a licensed facility in 1985. Over time, graduation for the participants became more sophisticated. Members of the class of 1989 were the first to don actual red graduation gowns. 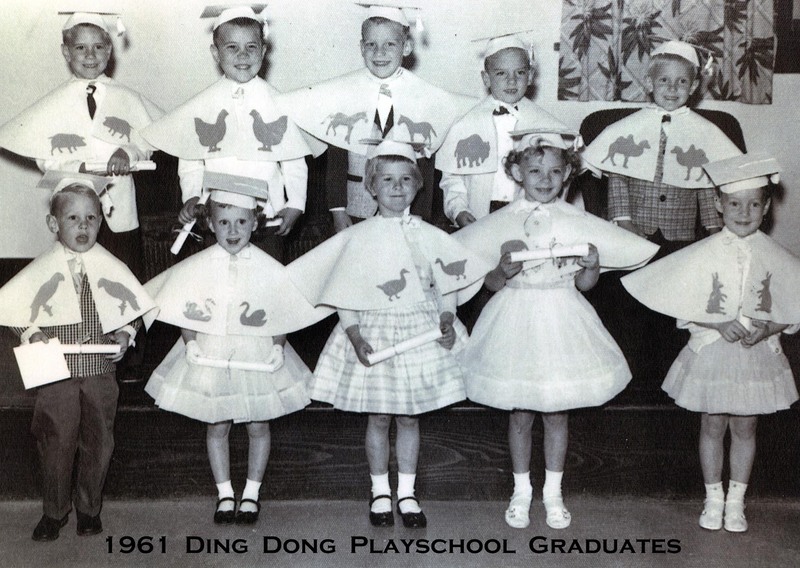 Officially, 2000 was the last year for the Red Cloud Ding Dong Playschool, but not for preschool in the community. Once again, well-informed innovative minds led the way as Red Cloud was awarded an impactful grant. This enabled ALL preschoolers in the community to join together in developmentally appropriate preschool activities. Their efforts continue today.